Remember: we will respect your privacy! We know this is your personal information, and we will not distribute it to anyone, other than to our preferred mortgage broker. This service is also provided free of charge, without any obligation on your part. 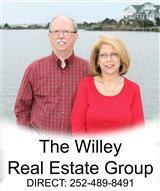 It is part of our job as Kill Devil Hills, Kitty Hawk and Nags Head real estate agents to offer services such as these.